Small to the eye but large in the mouth. That´s how we like to introduce our new Mini Gratins, rich flavoured delicacies that constitute a perfect aperitif, be it in a buffet or a special event. They come as small steamed potato slices accompanied by a delicious sauce that preserves the potato´s original flavour and original vegetables on the side, leaving no one indifferent. 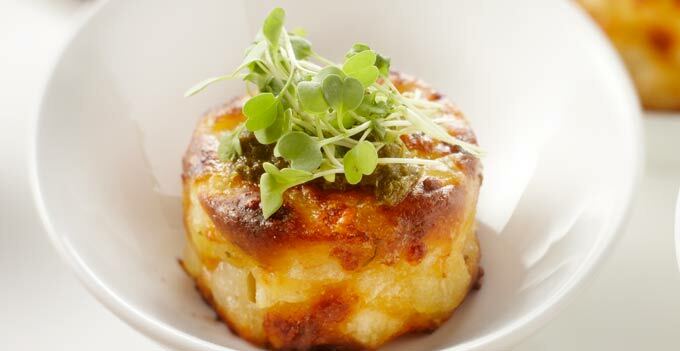 We round up our Potato Specialties catalogue with the Mini Gratins, a reduced version of our Potato Gratins with two variations: the Asparagus and Parmesan Cheese Mini Gratin and the Jerusalem Artichoke and Parsnip Mini Gratin. Evocative names indeed for these cute bites that weigh a mere 35 grams each, very easy to serve and with an intense flavour. These “mini” versions join the existing items in our catalogue: Potato Gratin with Cheese & Cream, made from sliced potatoes and a mixture of cheese and cream to obtain an intense flavour, and Italian Potato Gratin, with a refined combination of whip cream, mozzarella cheese, tomato and basil, ideal for cheese lovers. For those keen to introduce new flavours, we present the Potato Gratin with Broccoli, sliced potatoes with a mixture of cream, cheese and broccoli, and the Potato Gratin with Mushrooms, with cream and mushrooms. 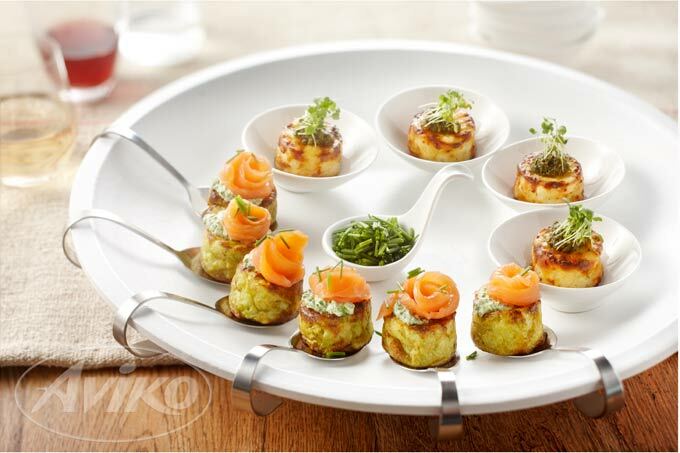 Aside from these, we are adding to our Potato Specialties catalogue a new product, which is ideal too as an aperitif or to share in informal dinners: Cheese and Potato Potizers, potato rolls filled with cheese cream with fine herbs. The Potato Gratins, the Mini Potato Gratins, the widest range of pre-fried frozen potatoes with different formats and cuts (such as wedged-cut, sliced, diced) and various pre-cooked products, such as Spanish potato omelettes and purees, among others, complete our potato-based Product Catalogue, a complete set aimed at satisfying our customer´s needs. Check our complete catalogue HERE.